Pocketfuls: Should kids be watching movies during school lunches? Should kids be watching movies during school lunches? It's Friday -- we've made it to the end of a full week back to school and routines and the painful act of having to get out of bed too early in the mornings! Despite our reluctance about the holidays being over last Sunday evening, the transition into a more bustling, productive lifestyle once again has been positive for all of us. As Will was happily recounting to me the events of his school day over a snack one afternoon this week, I was reminded of an issue that has been bothering me for some time. It has become a daily practice over the past several years for at least some of the classrooms at his school to have a movie playing from the BrightLink projector onto the white board during the twenty minutes that the students are given to eat their lunch. The reason for the movie, according to my boys, is to get kids to eat quietly before they go outside to play for the remainder of the period. It seems harmless enough, I suppose, giving kids twenty minutes of screens to ensure a certain level of calm while they eat their lunch, but I'm not comfortable with a daily habit of meals with screens for my children, and here's why. According to a Common Sense Media 2015 national survey, tweens today spend just over four and a half hours on screens daily, not including the time they spend using media for school or homework. For teens, that number jumps to over six and a half hours of daily screen time for entertainment. Those numbers seemed shockingly high to me when I first read them, but they made sense when I thought some more about all of the ways our children come into contact with screens as they go through a typical day. It doesn't take long for the hour tally to climb when you add in texting, video games, movies and tv shows, YouTube, social media sites like Instagram, and surfing for cool stuff online. The easy portability of screens today means that media use has crept into many aspects of day-to-day life: kids are texting, watching movies, gaming, and using social media while they're eating, waiting for things, studying, or supposed to be sleeping. 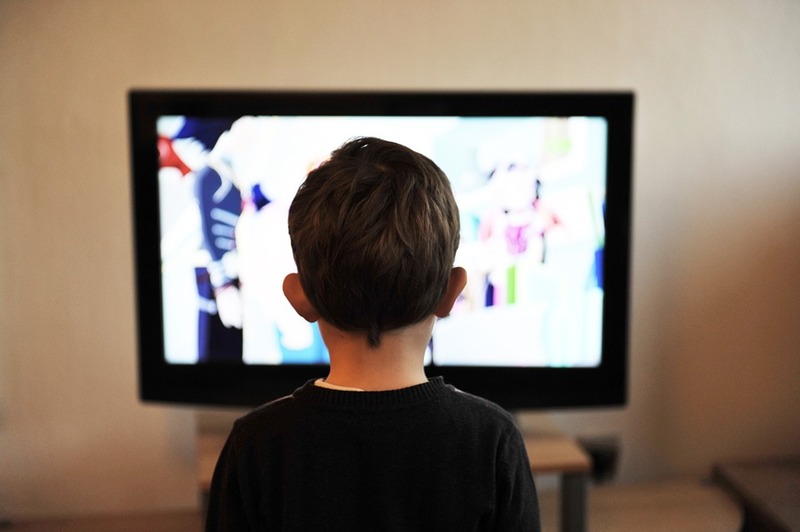 The American Academy of Pediatrics has set out guidelines for families regarding screens, based on studies that show that "excessive media use can lead to attention problems, school difficulties, sleep and eating disorders, and obesity". It recommends no more than one or two hours a day of entertainment media for children and teens, as well as the practice of setting "screen-free zones" at home in places like the bedroom and the dinner table. Because it is so easy for kids to exceed these daily recommendations, it requires a conscious effort on the part of parents (and school staff, when children are in their care), to ensure that kids are nudged away from screens and encouraged to participate in other activities that they enjoy. We have always had a no-screens rule during meals in our home, because I want mealtimes to be about food and conversations that encourage connection between family members. It seems to me that watching a movie on a regular basis during a meal encourages mindless eating, where kids tune out the cues their body is giving them about what they're eating and when they've eaten enough. It also discourages children from sharing in the pleasures of the social, community aspects of a meal, and from learning how to behave appropriately during mealtimes in a group setting. How can we expect them to learn acceptable social behaviours if we miss out on the teaching opportunity by distracting them with constant passive entertainment? I believe that electronic media can be a useful educational tool in schools; my boys have learned some fascinating things using computers and well-designed programs in their classrooms. It doesn't make sense to me, though, for them to spend twenty minutes each day mindlessly watching part of a movie that's not even that interesting to them during their lunchtime. If schools are setting in place nutrition policies for students and teaching them about healthy eating practices in their lessons, it follows that they should set a good example for kids during school mealtimes as well, by turning off the screens and allowing kids to focus on their food and reasonable friendly chatter with their classmates. We have to be careful as adults responsible for the well-being of children that we don't rely too much on screens simply to make things easier for ourselves. Just because we can put on a movie to keep lunchtime quiet doesn't mean we should. How do you feel about kids watching movies during lunch at school, or about other practices or policies your kids' schools have regarding screens? I'd love to hear your views and concerns. So many great points! I'm a teacher and I know how the noise level gets, but putting on music may be a better idea then passively watching a show. I think they should chat with their friends too as they can't during other structured parts of the day. I also think adults must model "screen time breaks" if they expect their children to follow suit. I completely agree with you that adults need to model screen time breaks, Megan. Kids are pretty quick to pick up on it when the "rules" are different for big people and little people! I like your idea of playing music at lunch. NO, I would not be happy to hear this at all. I wish there could be better support in the classrooms during meal times as it is - I feel our children are under-supervised while eating and I've never been comfortable with it. Now, you have a room full of kids spaced out in front of a screen, how would they notice a classmate in trouble? Nope - I don't like it at all. I didn't even really consider the safety aspect of it, Louise, but you make a very good point. I'm glad to know I'm not the only parent who is unhappy with the lunch room practices at our kids' schools. Perhaps we can all work to encourage some positive changes. The thing about Nigerian 123 movies is the story. The most common flaws in Nigerian movies are their poor endings. In the outgoing year, one thing that refused to change about Nigerian movies is its character. Downloading full DVD movies has never been easier than before. Viewers are a lot more tech savvy and quality-conscious never ever. Almost every American home has a computer and internet connection, and with computer literacy at such high levels, it is effortless for anyone to https://freenetflixacc2019.weebly.com/ files online. What's so good about DVD movies and why are people choosing to download full DVD movies over other options?